The government protects us from the bad guys. Our elected representatives try to do what is best for their voters. You can believe your congressman when he says he is pro-life. You priest or pastor is a holy man. As long as we work hard, you’ll get ahead in life and you’ll never have to worry. Everything will be just great. And as long as we behave, the good times will go on forever. Unfortunately, none of these is necessarily true. The failure to realize this can result in your life being ruined, or even your death. We live in the dark world. It is only when you realize this that you can take the necessary steps to achieve success and protect yourself from failure. But up until now there has not been a single source where one could learn about the dark world. The information was spread across ancient books of strategy, blogs, and podcasts. Ivan Throne’s book The Nine Laws solves that problem. More importantly, it does something no other book of strategy does—it provides you with practical training on the skills you will need to become a master of the dark world. The Nine Laws themselves are simple: Survival, Concealment, Purpose, Endurance, Posture, Freedom, Power, Preposterousness, and No Laws. Although they are easy to state, applying them takes much thought and training. Identify the three most dangerous current threats to your survival. Address them and take actual steps to change their potential impact. Just performing this simple exercise led me to make changes to limit threats to my survival in my daily life. Other related exercises have increased my awareness of other potential threats, and I wasn’t bad in this department to begin with. 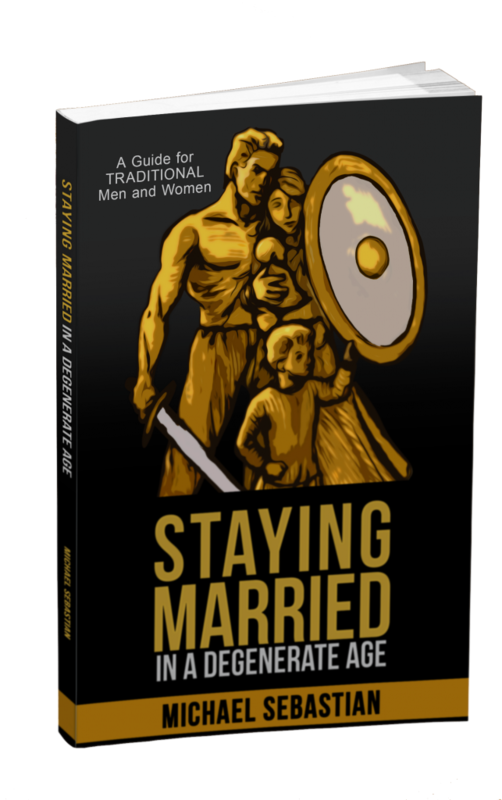 The training in The Nine Laws deals with every aspect that affects a man: relationships, work, self-defense, attitude, and external forces, such as governments and businesses. The Nine Laws opens with a section on “instant immersion.” Throne knows that his readers are not interested in digesting large amounts of theory without concrete application. The instant immersion enables the reader to start deriving practical benefits from the moment he opens the book. The first two sections are devoted to an explication of the Nine Laws and the other principles that comprise the dark world. Although there is much theory in these sections, there are practical exercises interspersed with the more philosophical portions. The third section was my favorite: It is dedicated to in-depth training on all the skills necessary to master the dark world. The fourth section gives us the setting for our present situation and what the future holds. Throne doesn’t pull any punches. If you read “conservative” periodicals like National Review, you will come away with the idea that things are not so bad. Everything will continue like it has been forever. All that is necessary is that we make a few minor policy improvements. It is terrifying when civilizations collapse. That terror is inflated and exploded by several concurrent and intersecting trends that are an inescapable part of human life in the dark world. Today, those trends are appalling. It is your responsibility to use your training in the dark world to achieve results. It is the duty of men to preserve, protect, and defend. It is the duty of the Dark Triad Man to lead in war. Commit yourself to combat when the alternative is unimaginable. The Nine Laws is not a book that you read once and put down. Although it is clearly written, it is not easily digested without doing the exercises and doing the exercises takes time. It took me over six months to work through everything. Even so, it is a book that you will find yourself coming back to again and again. I even bought the paperback version of the book when I realized that it deserves to become bedside reading. This is a book that will have an impact on you. When you have gone through it, you will view the world differently. Not everything that you see will be pleasant but you will be equipped with the skills to tackle the unpleasantness. You will find yourself more antifragile—you will be better prepared to handle the shocks that life will inevitably deal. You will stride through life more confidently. In sum, after reading The Nine Laws, you will become a weaponized human being; fully equipped to master the dark world.